Gordon Hayward is almost back to full strength. Working with @drewhanlen and the @puresweat guys to get back! Slowly but surely making progress day by day, week by week! 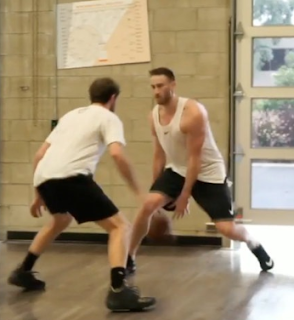 Spending his summer working with trainer Drew Hanlon of Pure Sweat fame (you've probably seen Drew training with other Boston Celtics and NBA luminaries), Gordon is looking pretty jacked and is moving fluidly in videos circulating around the NBA media sphere. Watch the video above to get a glimpse at Hayward's post-injury game. He may still have some ground to cover, but there doesn't seem to be any lingering effects from the catastrophic injury he sustained in last year's season opener - good news for those of us hoping for Banner 18 in 2019.